Gives you so much more than just a number. Enables you to get more out of your training. Helps you understand exactly what your training zones should be so that you can train smarter. An endurance performance test gives you a deeper insight into your physiological strengths, weaknesses and limitations. This insight puts you in a position to better target the correct areas in your training that will bring about greater performance gains. Without this knowledge one is left guessing which areas need to be worked on the most and which type of training would be best suited to current endurance fitness levels..
What is an Endurance Performance Test? 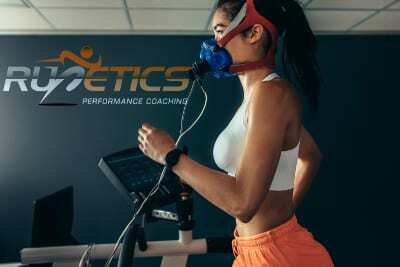 An endurance performance test is a testing protocol designed to establish an athlete’s VO2 max and Lactate Threshold levels using high quality and validated equipment. The test is performed on a treadmill with timely lactate readings and increases in intensity to exhaustion. The test itself usually takes around 15-20mins depedning on the fitness level of the athlete. Once the test is complete the data is converted into a take home report with all the information and insight you need to take your training to the next level. Why do I need an endurance test? Do you know which areas of your physiology do or don’t need to be worked on for your next racing goal? In other words do you need slow your pace down or speed it up, do you need to do more tempo sessions or faster higher intensity sessions or do you need to run longer and further? Do you know why you’re unable to hit your goal race times despite all the predictors telling you that you should be? Most runners don’t have the know how to get faster. They spend most of their training running either too fast or too slow. When you run too fast in training you train above your aerobic threshold limit, ie. you burn glycogen as your dominant fuel source and instead of improving your your ability to run faster over long distances you get slower. That’s quite simply because you are not training at a speed that forces the body to develop and enhance your endurance capacity. When you train too slow, despite the fact that you are using fat as your fuel source and that you are forcing the body to develop and enhance your endurance capacity, it tends to be a at greatly reduced level, so improvements are negligible. Basically, an endruance performance test gives you the information you need to get the biggest bang for your buck from your training. In other words, train smarter, not harder. Q) What’s involved with the test and is it hard? The test is performed in your normal running kit on a treadmill while wearing a face mask so that things like amount of air, breathing rate, oxygen being used by the muscles, and much more can be measured. The test is an incremental test to exhaustion. Think about the test as doing a 3k race. Q) Do I need more than one test and how often? A test gives you your training zones, VO2 max, Lactate Threshold and race predictions relative to your current fitness level. After applying the test results to your training over a few weeks, it’s a good idea to get re-tested so that your training can be adjusted according to your new fitness level. Testing is recommended every 6-16 weeks depending on your level and your next racing goal. Q) Anything I need to do or avoid before the test? You want to be well rested, healthy, hydrated and ready to perform for the test. Avoid strenuous efforts 24 hours prior to and do not exercise on the day before your test. Do not eat or drink, apart from water, at least 3-4 hours before the test. For more information please complete and submit the inquiry form or give us a call. We’ll get back to you as soon as possible.